Dr. Jill Fleury earned her Bachelor of Science degree in biology/chemistry at the University of Northern Iowa in 1997. Her love of smiles and her desire to help others led her to pursue a doctorate of dental surgery degree at the University of Iowa. 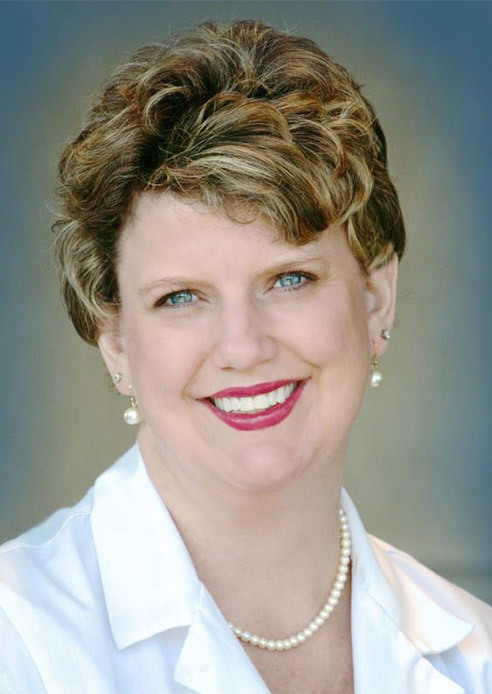 Having completed dental school in 2001, she sought to further her dental expertise by attending the University of Texas-Houston Advanced Education in General Dentistry program which she completed in 2002. Dr. Fleury fell in love with the state of Texas and has been practicing dentistry in the Houston/Katy area ever since. Dr. Fleury remains current in the newest advances in dentistry by attending more than the required minimum number of continuing education courses which include: clear braces (Invisalign and clear correct), cosmetic veneers, full mouth rehabilitation, and dental implants to name a few. This education provides her patients a wide variety of services and treatment options. Dr. Fleury's philosophy is to treat each patient like family, paying close attention to the wants and needs of each individual. Her goal is helping patients achieve their optimum oral health and aesthetics. Dr. Fleury and her family live in the Katy community. She is a member of Epiphany Catholic Church and a member of the PTA at Exley Elementary. Dr. Fleury is a firm believer in supporting businesses in the Katy community. In her free time, Dr. Fleury likes to cheer for the Houston Astros. She enjoys biking, camping, cooking, and spending time with her family and friends. Dr. Fleury and the staff at Katy Oaks Dental prides themselves on creating a private dental office with a small hometown feel. It is Dr. Fleury's mission to devote enough time to each person's individual needs to never feel rushed. Dr. Fleury gets to know each of her patients and they can trust Dr. Fleury will be there when they need her, especially during a dental emergency. We hope you join the Katy Oaks Dental Family Tree soon!